Three robberies were committed by the same person on May 25 in the south-central part of the Las Vegas valley, on Harmon Avenue, Maryland Parkway, and Sierra Vista Drive. The armed suspect was described as a black male adult, 5 feet 11 inches tall, and a thin build. 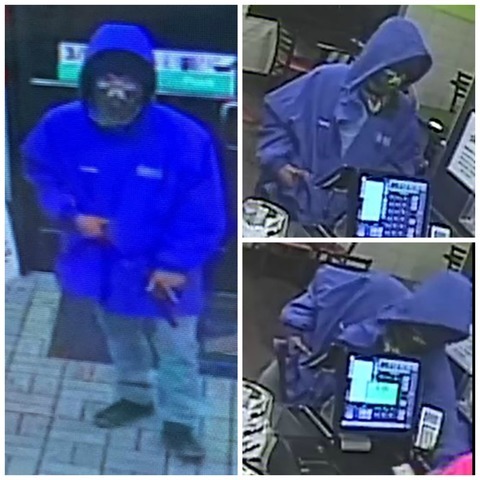 He was seen wearing a blue shirt, a blue windbreaker or jacket with a hood, and a camouflage bandana or a mask over the lower part of his face. 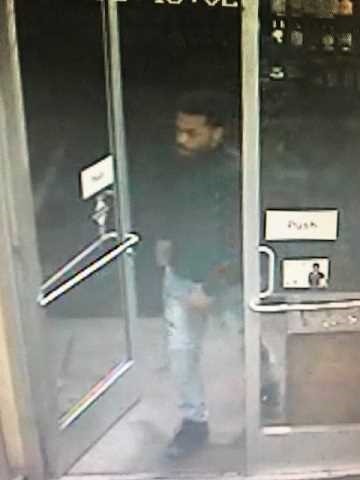 On May 21 around 2:45 a.m., a gas station in the 1100 block of East Tropicana Avenue, near Maryland Parkway, was robbed at gunpoint. The man entered the business and immediately drew a firearm on the clerks, demanding money from the register. The man was able to steal an undisclosed amount of money and left the business on foot. No one was injured during the robbery. On Dec. 12, 2017, a man entered a business located near the 2500 block of North Pecos Road, near Carey Avenue, and stood in line with a weapon out but against his side. The man approached the clerk and paid for merchandise. When the clerk opened the register, the man demanded money and pulled out the weapon. The clerk complied and the man fled the business with an undisclosed amount of money.